In April, Muflehun ran the second “Internet Safety Workshop- What Parents Need to Knows” to an audience of 100 parents at ADAMS. The Loudon County Sheriff’s Office and FBI WFO gave the first presentation, talking at length about youths’ online behavior, their tendency to be technologically savvier than their parents, and the pernicious threats they are vulnerable to online. The Deputy Sheriff and FBI Special Agent discussed ways children innocuously encounter unsavory material or are pursued by predators. The FBI noted nearly two out of five missing children cases are connected to the Internet. Both the Deputy Sheriff and FBI Special Agent gave parents tips for discussing these issues with their children and steps to address their online activity at home, such as keeping tabs on all Internet-capable devices, using parental control software, and keeping the family computer in a visible spot in the house. Tying into theme of online threats, NCTC and DHS CRCL spoke about another threat faced online: terrorist recruitment and radicalization. DHS CRCL spoke about its efforts to connect with communities through roundtables and address potential civil rights and civil liberties complaints logged with the government by citizens. NCTC discussed the new domestic strategy to prevent violent extremism by using a grass-roots approach, empowering communities and local partners to help address and prevent the threat. This included a discussion on how the strategy breaks into three parts: (1) community outreach and support; (2) increased training and information-sharing; and (3) countering the terrorist narrative while upholding our national values. To conclude the event, Muflehun spoke about the importance of parents being aware about the online threats their children face and how they have a duty to speak honestly about the threat of radicalization to be able to confront it. Muflehun’s presentation focused on how youth can potentially fall into a path toward radicalization, one that progressively distorts an understanding of their religion. To help at-risk youth the community must understand the threat and step in early to provide the needed spiritual and social safety nets, to encourage youth to turn to trusted adults for questions or concerns, as opposed to merely searching for online answers . 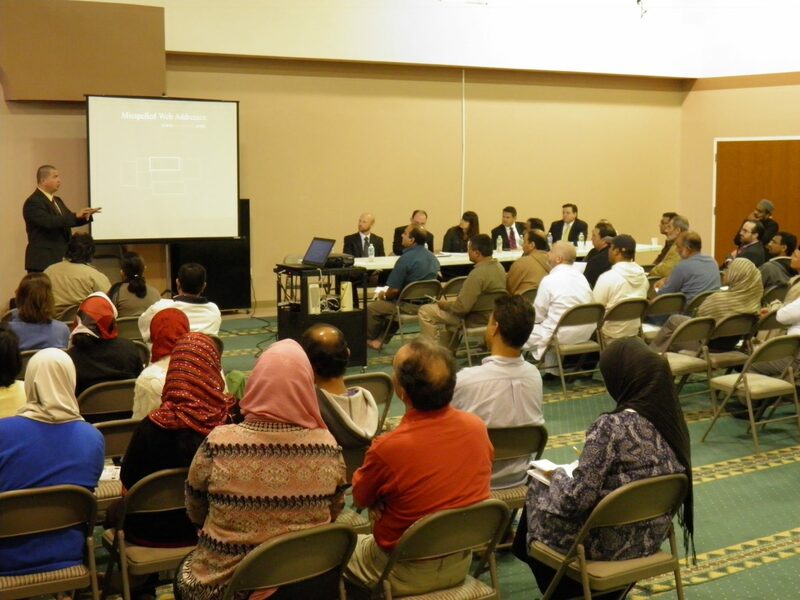 The presentation provided the congregation with a religious perspective for how to counter the terrorist ideology. Please contact info@muflehun.org if you would like to schedule a similar event for your community. Washington, DC | www.muflehun.org | February 15, 2012 – In a continuing effort to address concerns related to inflammatory training material, the Federal Bureau of Investigation (FBI) recently met with community and interfaith organizations to provide an update on steps taken by the agency to rectify the matter. On Wednesday, February 8, the American-Arab Anti-Discrimination Committee (ADC), the Arab American Institute (AAI), Interfaith Alliance, the Islamic Society of North America (ISNA), Muflehun, the Muslim Public Affairs Council (MPAC), the Sikh American Legal Defense and Education Fund (SALDEF), and the Shoulder-to-Shoulder campaign had an opportunity to discuss the matter with the Public Affairs Office of the FBI. Director Robert Mueller joined the meeting to discuss these matters with the representatives from the organizations. 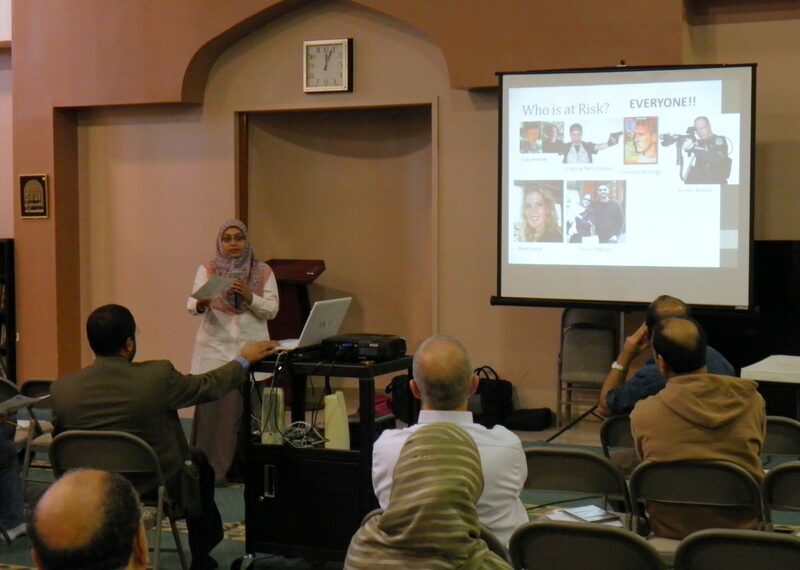 The conversation with Director Mueller centered on material used by the agency that depicts falsehoods and negative connotations of the Muslim American community. The use of the material was first uncovered by Wired Magazine in an article published on September 14, 2011. Director Mueller informed the participants that the FBI took the review of the training material very seriously, and he pursued the matter with urgency to ensure that this does not occur again in the future. The Director also informed participants that to date, nearly all related FBI training materials, including more than 160,000 pages of documents, were reviewed by subject matter experts multiple times. Consequently more than 700 documents and 300 presentations of material have been deemed unusable by the Bureau and pulled from the training curriculum. Material was pulled from the curriculum if even one component was deemed to 1) include factual errors, 2) be in poor taste, 3) be stereotypical, or 4) lack precision. The meeting also provided an opportunity to share with Director Mueller other matters of concern to community members. Issues related to privacy, including the surveillance of mosques, were discussed. It was clear to all meeting participants that the issue of trust between community members and the FBI needs to be taken seriously by all of our nation’s decision-makers. It was also evident that the Bureau must strengthen its efforts to build trust. The Director has testified before Congress about the invaluable contribution that the Muslim community makes to our nation’s security, noting a recent bomb plot in Tampa, FL that was foiled thanks to a joint effort by the FBI and the local Muslim community. The changes proposed by the FBI to the training modules are a welcomed first step in ensuring that such a mistake does not occur again in the future. The group asked the FBI Director to issue a formal statement on this matter acknowledging the negative impact of these training materials on the Muslim community. Representatives from the community and interfaith organizations also stressed the importance of transparency by the Bureau in dealing with these matters, and suggested that a committee of community leaders and experts be assembled to review training material issued by the FBI. Meeting participants requested that the training process be open and transparent moving forward and requested future meetings with Director Mueller to continue the conversation. Ferhani and Mamdouh- Hate Crime or Terrorism? The recent arrest of Mohamed Mamdouh and Ahmed Ferhani on charges of plotting to attack a New York synagogue has received much media attention, not because of the crime being planned, but because the FBI NY JTTF opted to not be involved in the case. There is much speculation about the politics of the FBI/NY JTTF/NYPD working relationship, and anonymous law enforcement sources have suggested that the case will not hold up to terrorism charges in federal courts. This speculation is extremely interesting because of the FBI’s definitions of international and domestic terrorism (excerpts below taken from www.fbi.gov) . It is important to note that terrorism by definition requires “furtherance of political or social objectives”. This means hate crimes (like anti-Semitic attacks, plans to bomb synagogues/churches/mosques) or attacks by clinically crazy people are not considered terrorist acts; they get prosecuted under hate crimes and various other criminal statutes instead, and carry softer sentences than anything related to terrorism. The meager information released about the case so far, along with the FBI/JTTF (in)actions raise the possibility that these two individuals were driven by sheer hate, and not terrorism. This would make it similar to the Sandlin Mathews Smith case, where the suspect was not charged with terrorism even though he had bombed a Florida mosque in 2010. The second aspect of note is its completely domestic nature; there does not appear to be any foreign influence in this particular case. If there had been inspiration or involvement with any foreign organization, like the Shabab, Al Qaeda (central) or any of the Al-Qaeda affiliate/partner networks, the international terrorism statutes could/would have been applied. A detail to remember is that this incident should not be considered a “lone wolf” terrorism case as it involved two individuals, even if they are not affiliated with any groups. Parallels are also drawn to Faisal Shahzad (Times Square bomber) however he too was not a lone wolf; whereas he implemented the bombing attempt by himself, he was actually affiliated with TTP who were part of the training, planning and funding of the operation (a true lone wolf case is the Unabomber). The case of the make-up salesman/aspiring model Ferhani and taxi dispatcher Mamdouh on state terrorism charges (rather than federal), has the potential to dissolve into an entrapment case about terrorism because the perpetrators are Muslim and it involves the NYPD, rather than being treated as a hate crime like the Sandlin Smith case. Once again, we will have to wait and see what plays out. On January 4, 2011, 21 year old Emerson Begolly was arrested in his mother’s car on charges of carrying a loaded gun1 and biting two FBI agents when they tried to question him; his defense claims that he has autism and the agents opening the car door and reaching for him caused his biting response that drew blood. Mr Begolly was being investigated by the FBI due to his online postings and social network alliances that indicated he was a Nazi-turned-radical-extremist with a worrying interest in killing people. Reminiscent of the 2002 movie “Minority Report”2 that depicts a world where a “PreCrime” police unit exists to stop crimes before they happen, the FBI is now in the impossible position of prosecuting a man for a potential crime that he was fantasizing about committing. Whether he is eventually charged and convicted on terrorism-related offences will be determined by the courts, but what is hard to ignore is the need for “deradicalizing” Mr Begolly and others like him. Preventing extremists from becoming operational is better for our society than having to deal with the consequences once people are committed to violence. Intervention and rehabilitation programs have been known to succeed in other countries, even with hardened criminals, and can do the same here. There is an assumption that any rehab program would necessarily include religion, and the separation of religion and state is the reason our government cannot get involved; however this should not mean there is no role for the government in rehabilitation efforts. While they should not be teaching or advocating versions of any particular religion, they can certainly play a part in encouraging public/private partnerships with psychologists, religious clergy, families and communities. The model can be similar to the way many churches are involved in prisoner re-entry, safe havens for youth leaving gangs and refugee resettlement programs. 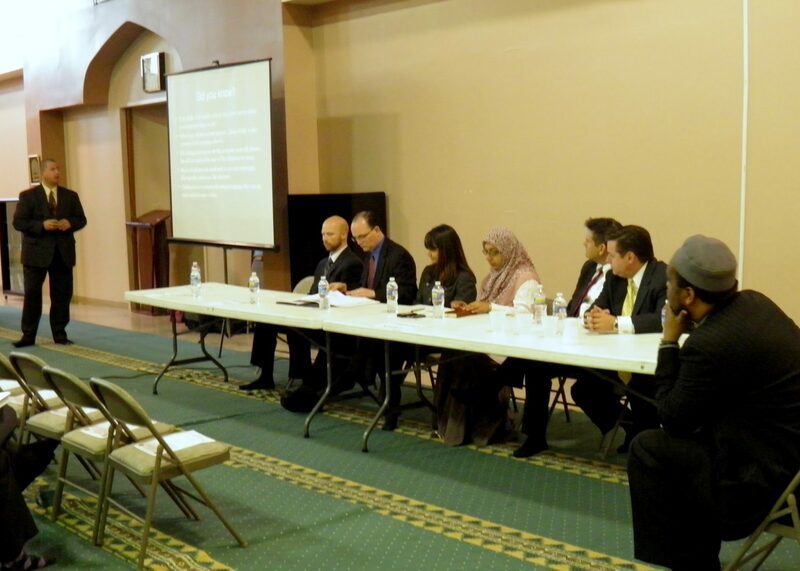 Partnerships such as these would help strengthen the relationships between the American Muslim community and law enforcement, and create a more trusted environment for community policing. In an ideal world, when a case like Mr Begolly shows up on the law enforcement radar, it would be better if he is counseled away from his warped world view as the first step; arrests and jail time should be our last resort and used only in cases where it is clear that the extremist is operational and planning an attack.